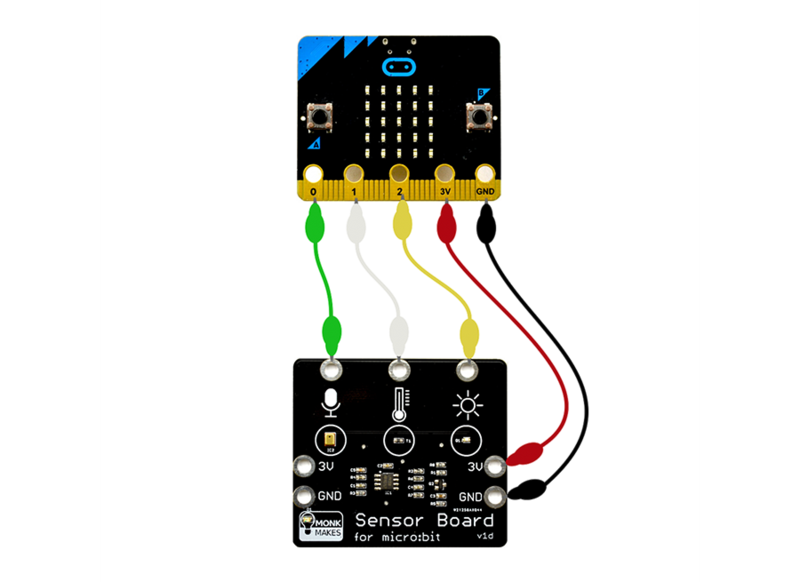 The Monk Makes Sensor Board for micro:bit allows you to sense sound levels, temperature and light levels. 3V and GND connections can be made from either side and allow you to power a second board such as the Monk Makes Relay Board or Monk Makes Speaker. Three analog sensors are that can be connected to pins P0, P1 and P2 using alligator clips. 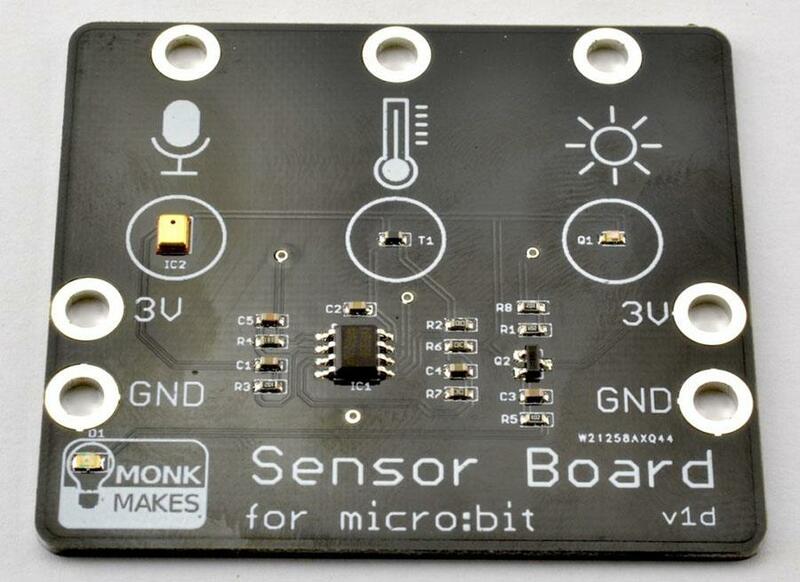 Note: The Monk Makes Sensor Board for the BBC micro:bit does NOT include a BBC micro:bit. The BBC micro:bit board will need to be purchased separately.